Our Automated Plate Assessment System (APAS®) is an innovative platform technology that automates culture-plate screening and interpretation. Through LBT’s collaboration with world-class computer scientists at the University of Adelaide’s Australian Institute of Machine Learning (AIML), we’ve developed an important product that enables businesses to meet the demands of the fast‑growing automated pathology market. Thousands of agar plates are assessed in busy laboratories every day. Currently, each one has to be examined by a microbiologist for the presence of clinically significant bacterial colonies. The APAS Independence automatically screens, interprets and sorts these plates, overcoming the bottleneck in lab workflows and freeing up microbiologists’ time. This, in turn, enables faster delivery of patient results. Apart from the obvious productivity benefits of the APAS Independence, eliminating the need for microbiologists to trawl through a multitude of negative plates means they can attend to significant specimens faster, reducing the turnaround time for these often-critical results. 70% of clinical decisions are based on in vitro diagnostic lab results. Up to 85% of plates read are negative or show no significant growth. Variability in plate reading with error rates 5.5-6.6%, and 12% for morphology. There is a 9% vacancy rate in the US and Microbiologist average age is high (51 AUS / 42 US). The APAS Independence combines expertise across three disciplines (AI, Software and Imaging) to create a revolutionary platform technology for intelligent image interpretation. APAS offers the potential for multiple applications across modern pathology and into other areas of healthcare. Through extensive clinical trials, we’ve demonstrated the APAS Independence’s ability to accurately detect the presence of significant disease-causing pathogens in a variety of culture mediums. The software promises major time savings for busy laboratories and microbiologists, and faster, more accurate results for doctors and their patients. 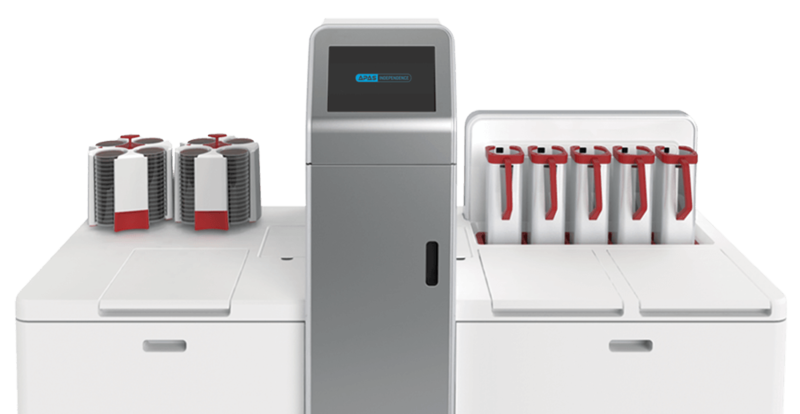 The APAS Independence technology has been showcased to the world’s leading microbiologists and diagnostic companies at leading microbiology conferences worldwide. Copyright © 2018 LBT Innovations Pty Ltd.